As legislators who support the concept of regional transportation authorities to meet the needs of growing communities all over the state, we feel obligated to comment on the recent announcement by Dane County Executive Kathleen Falk and Madison Mayor Dave Cieslewicz to create a countywide regional transportation authority. The worthy cause championed by Cieslewicz and Falk would have been better served by focusing first on passing enabling legislation that meets the needs of all Wisconsin communities, rather than presenting a plan they have no authority to implement. 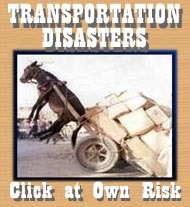 In announcing their "historic" agreement, they have put the proverbial cart before the horse. Cieslewicz and Falk should join others throughout Wisconsin in building support for sensible legislation to give local communities the ability to create regional transportation authorities. There has been such a proposal in the works for nearly a year. Those leading this charge have talked with local government leaders statewide who have shared their needs and visions for local transportation systems. They have also talked with many legislators who have both expressed support and urged caution. * Participation should be voluntary. Towns should not be forced into a RTA they do not want to join. Under current law, counties can provide a service to communities within the county only if that community agrees to have a county provide that service. This principle should be applied to the creation of RTA enabling legislation. * Only elected officials, or the electorate, should have the power to impose a local dedicated funding source. Only elected officials, responsible to their constituents, should be able to determine revenue and spending levels for the RTA. * Local governments should determine boundaries and governing structures. The transit needs of communities throughout Wisconsin are quite different. It would be impossible for the Legislature to specify these matters in statewide legislation and meet the needs of all communities. * Services provided should be narrowly defined. To achieve the bipartisan support necessary to pass enabling legislation, careful thought must be given to the services RTAs are allowed to provide. 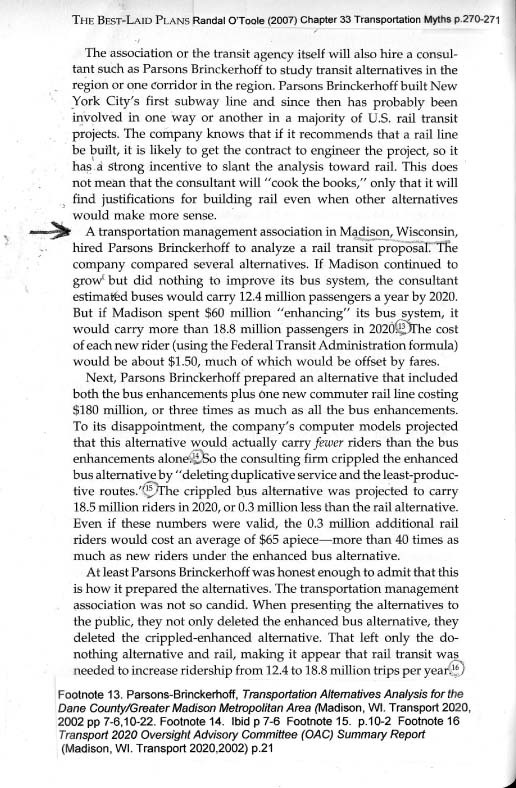 Unfortunately, these aspects of the Dane County and city of Madison proposal detract from the real mission, which is to provide access to transportation for citizens throughout Wisconsin in the most cost-effective, efficient manner possible. It may be that enabling legislation passed by the state will allow the mayor and county executive to pursue only half or two-thirds of what their proposal calls for, but nothing will be accomplished without legislative approval. So let's cooperate now to pass sensible, workable enabling legislation to benefit the entire state.